Girly Girl Giveaways: Belli Skincare HUGE Giveaway! 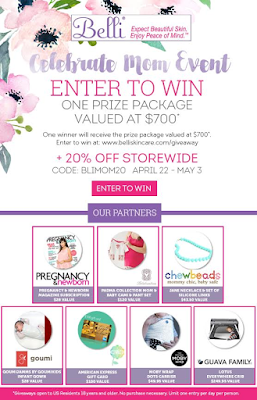 Belli Skincare is having a Celebrate Mom Event and they are offering one lucky mom the chance to win an awesome prize. You can enter now until May 3 to win a prize package valued at $700. What are you waiting for? !